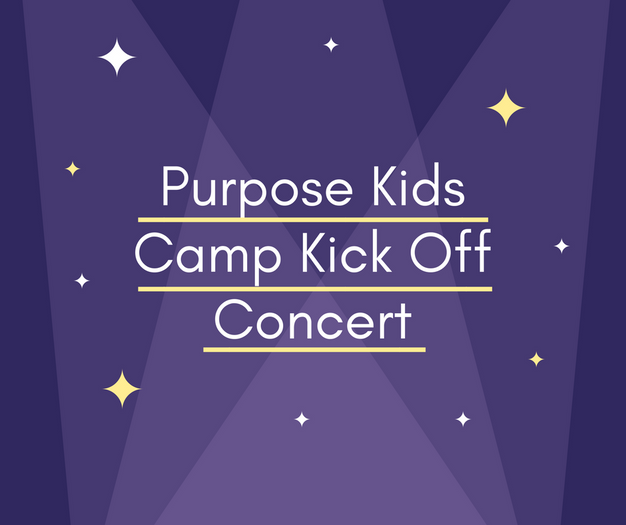 Join us this Sunday, April 29th at 5pm at the Pomona campus for our Purpose Kids Camp Kick Off Concert featuring the music of Jana Alayra! Come sing and dance with Jana, enjoy food trucks and raffles, find out the mystery theme of this year’s camp, AND sign up your child for camp at a discounted rate! See you there!